Digital Blue video by Kristina Bright, Assistant Director of Admissions Marketing and Communication. 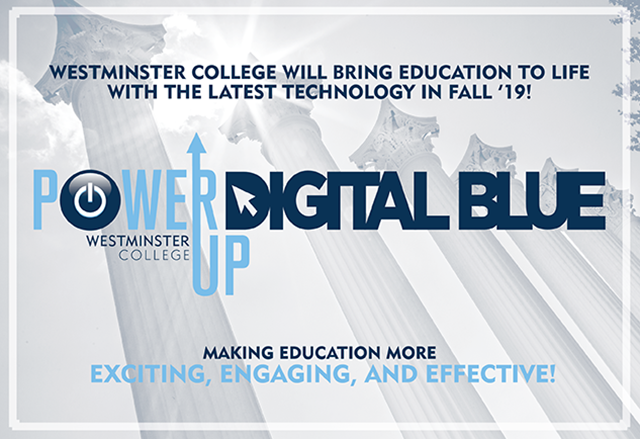 Attention Westminster Community: The Westminster College Admissions Office would like to share a video on the exciting initiative happening at Westminster … Digital Blue! Over the course of the last several years at Westminster College, an initiative emerged that would prepare 21st-century learners for the digital demands of the professional world. Today, Digital Blue is born. This 1:1 initiative — one iPad for every faculty member and student — will bring Blue Jays into the forefront of what it means to be a digital citizen. Using technology to enhance what we already do exceptionally well at Westminster will make the Blue Jay experience more engaging and relevant as we prepare them for the digital world. Click here to be wowed!